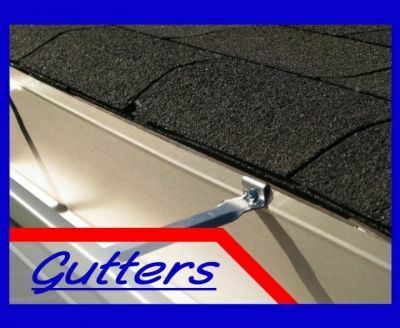 Need Gutters in Whitewater, Wisconsin? Serenity Concepts LLC provides professional rain gutter installation and cleaning services in Whitewater, since 2013. For over 6 years, Serenity Concepts LLC's Whitewater professionals have installed, replaced, cleaned and repaired gutter systems all over Whitewater. Affordable Gutter Cleaning in Whitewater - Serenity Concepts LLC offers affordable gutter cleaning services in Whitewater, Wisconsin. They can save you the trouble and hassle of doing the job yourself, and ensure the gutter cleaning and any repair service is done properly. Professional Whitewater Gutter Installation and Replacement - With 6 years of experience, Serenity Concepts LLC Whitewater's professionals can install any type of gutter in Whitewater. We'll match the style of your home or business. We'll also offer a variety of solutions to keep your gutters functioning properly throughout the year. Whitewater Gutter Guard Installation - With Serenity Concepts LLC installed Whitewater Gutter Guards your gutter will remain free of clogging debris. Gutter guard installation on your Whitewater building will protect your investment from water damage and rot for years, with little maintenance. No more climbing on a ladder to pull the muck out of your gutters twice each year! Serenity Concepts LLC installed Gutter Guards in Whitewater are a wise investment.